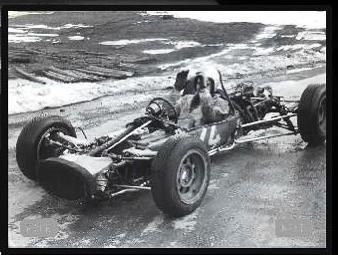 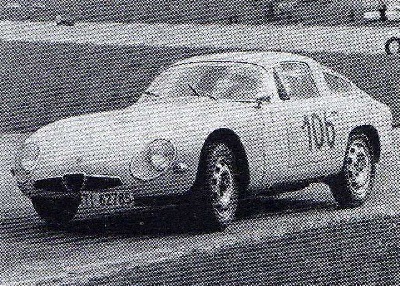 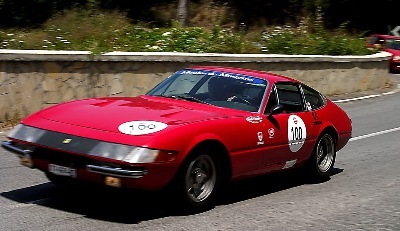 Clay Regazzoni's first official temporarly works car, as driver for the Swiss Army Non Racing Team during 4 months at the Scuola Reclute Monte Ceneri between Bellinzona and Lugano. 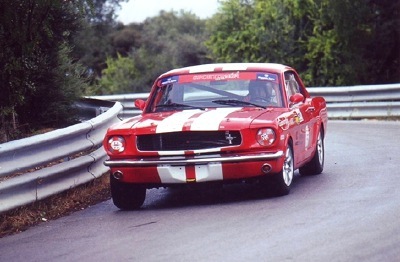 First car, first dream. 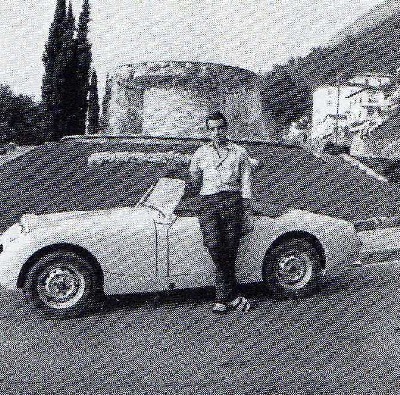 Clay with the Austin Sprite Healey. 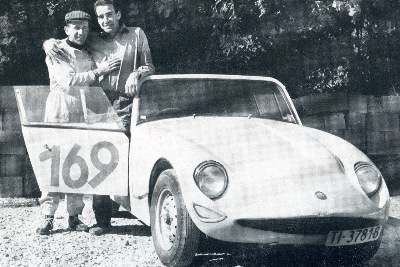 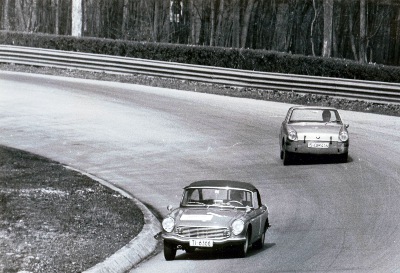 Clay Regazzoni (r) & Silvio Moser, Austin Healey 950, Swiss Championship at Schauinsland/Freiburg GER, Clay's first race ever. 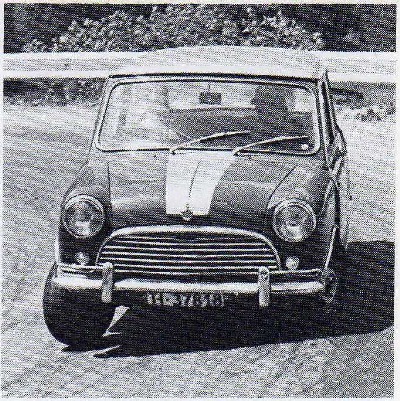 Morris Cooper S 1070, Mitholz-Kandersteg - 3rd place. 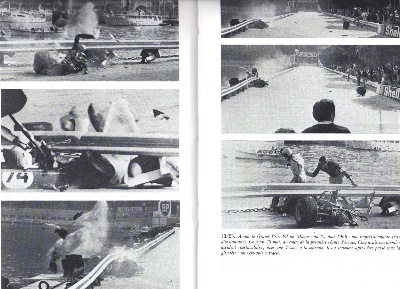 ...which Clay used here in Monthéry by Paris, FRA, at the Cours de pilotage. 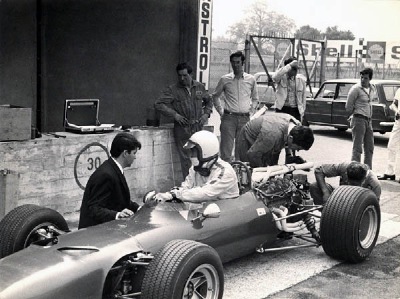 Monza September 1965, back in the Brabham F3. 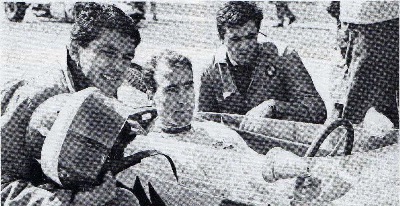 Right Renzo Giorla "Dovina", mechanic by Martinelli & Sonvico Racing Team, left Ivan Bellotti. 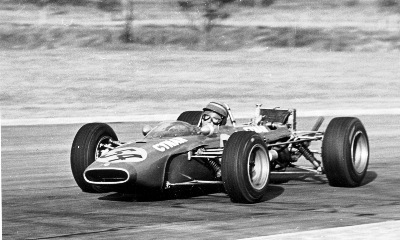 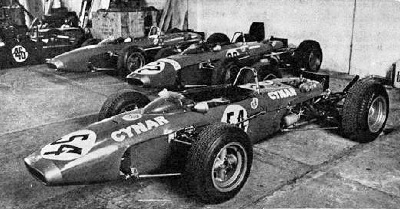 Clay in 1965 with the helmet in the colours of Martinelli & Sonvico and the same logos remember the rowing club of Graham Hill and his helmet. 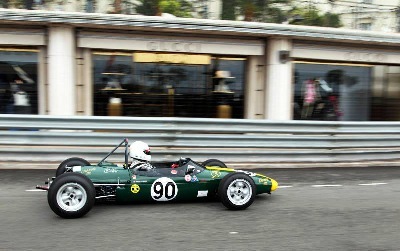 Clay's Brabham BT 15 from 1965 is still existing and was seen at 2010 Monaco Historical Grand Prix. 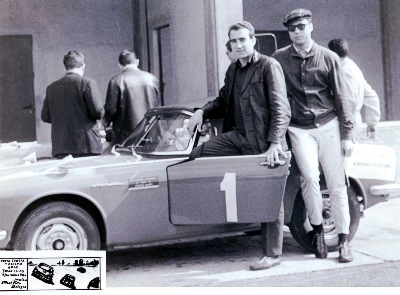 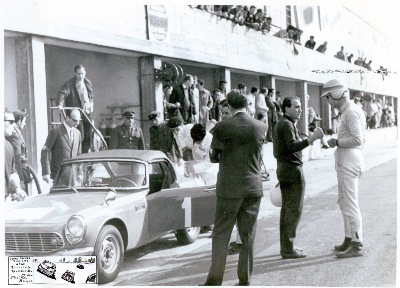 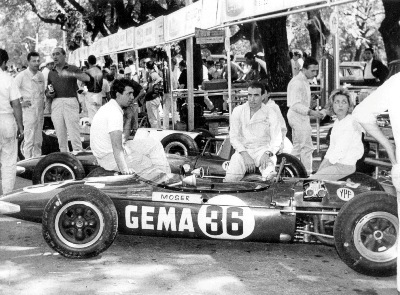 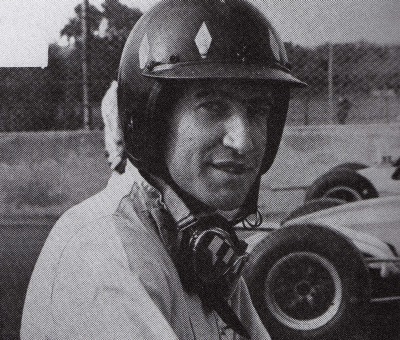 Clay (in the middle) seating on his car by the Argentinian Temporada 1966. 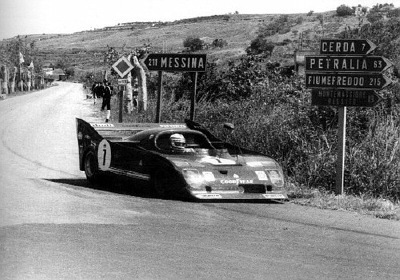 Ahead, Silvio Moser's car. 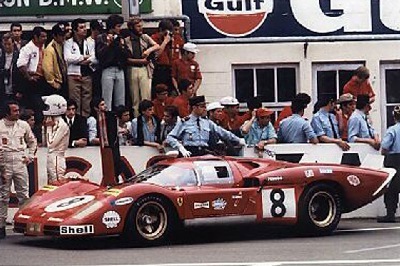 Pit Stop for Clay and Aldo. 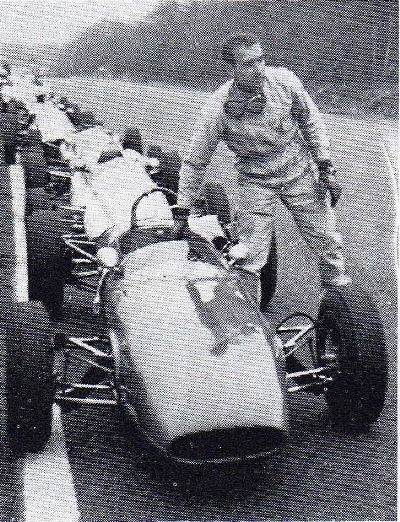 Behind, left, standing at the steps, Silvio Moser. 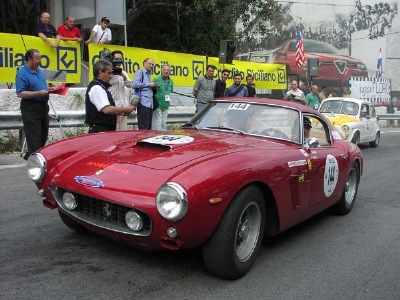 ..and here is this car, today, Anno 2009! 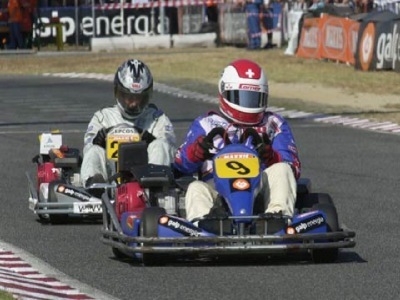 Clay on the way to win the Team European Formula 3 championships in Hockenheim on Tecno. 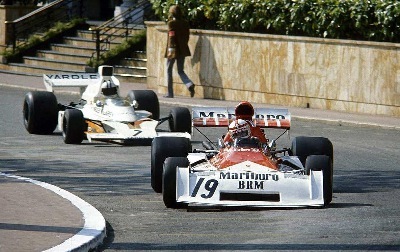 Accident in Montecarlo with Tecno F3. 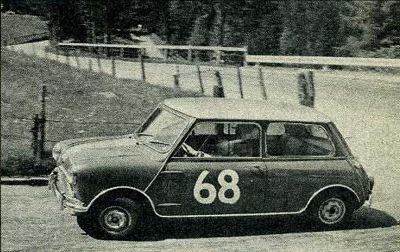 1969 - Early Sixtynine! 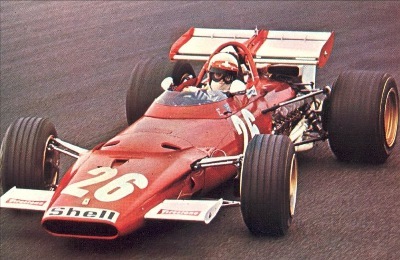 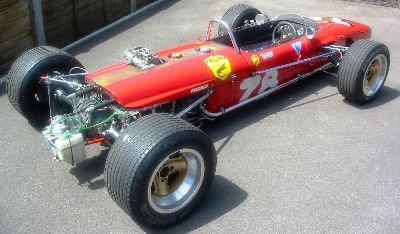 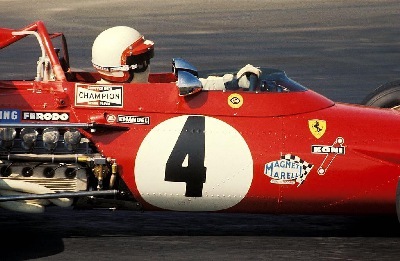 Clay is testing the Ferrari Dino F2 in Modena. 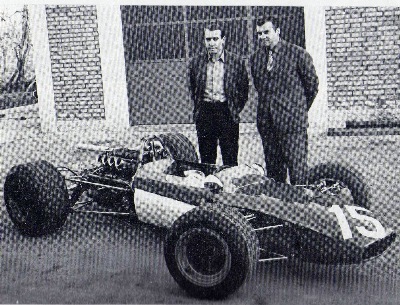 We see Engineer Marelli and mechanic Borsari, also journalist Pino Allievi (the tall one on the left) and Autosprint's Gian Carlo Cevenini (2nd from right). 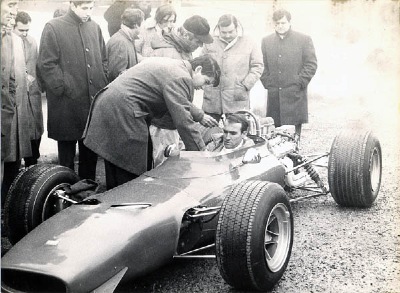 Clay test day in Monza with the F2 Dino, talking with Ing. 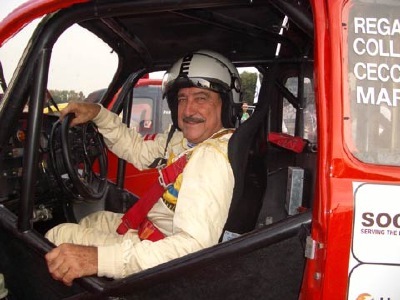 Marelli. 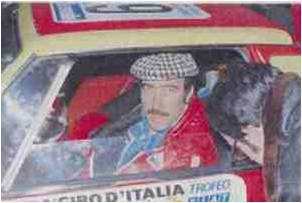 Behind Clay, Vittorio Brambilla. 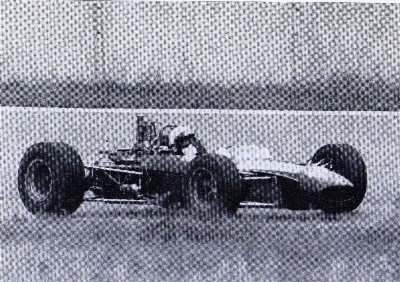 ...the first victory. 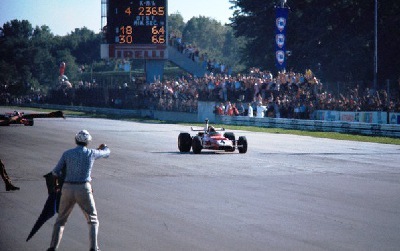 Victory at Monza 1970! 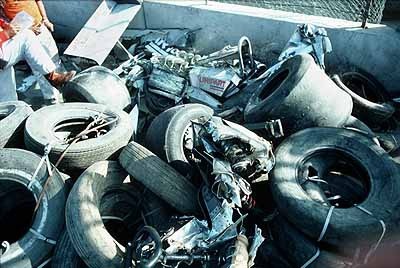 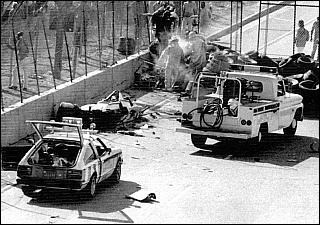 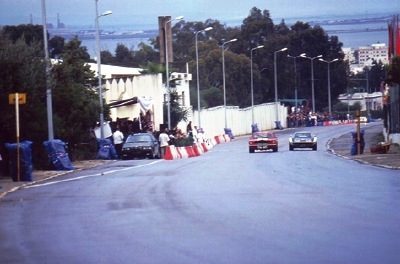 Crash in the last lap between Quester (white car) and Regazzoni (dark). 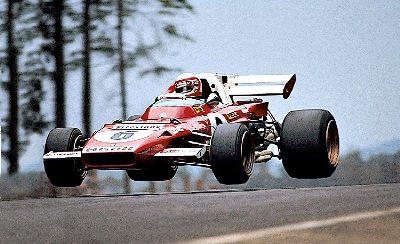 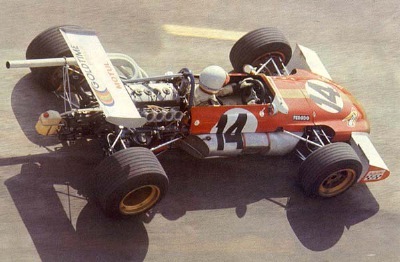 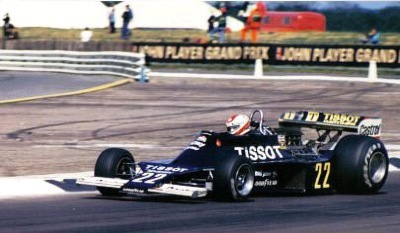 Finally Clay Regazzoni wins the Formula 2 European Championship driving the official Tecno F1 70 Car. 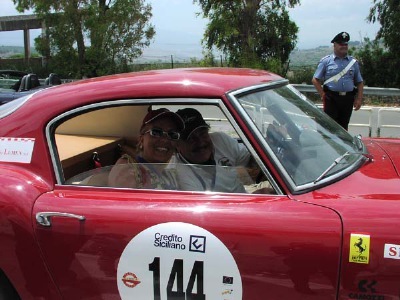 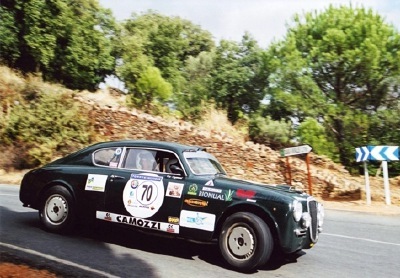 It will be the highest success for Pederzani Brothers' italian constructor. 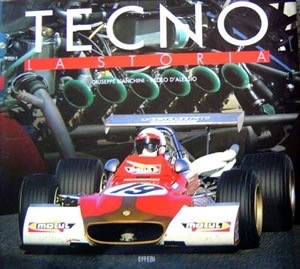 35 years later, Clay get the cover on the book TECNO La Storia (Bianchini/D'Alessio). 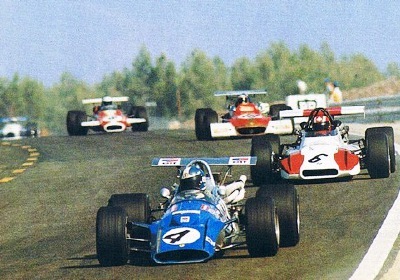 Johnny Servoz-Gavin (4) ahead of the two Swiss Jo Siffert on BMW (6) and Clay Regazzoni at Paul Ricard Le Castellet FRA. 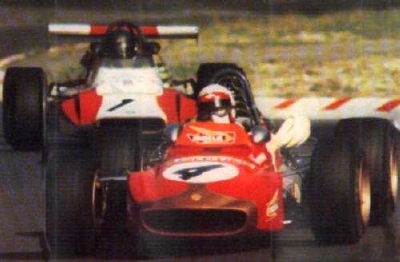 Clay, left, getting the car form incoming Arturo Merzario in his white helmet. 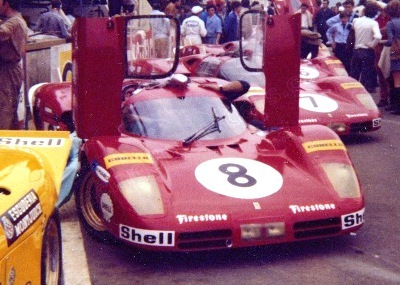 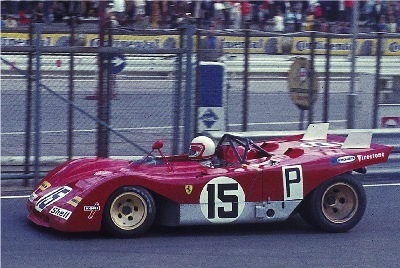 Regazzoni's driving his unique participation in Le Mans. 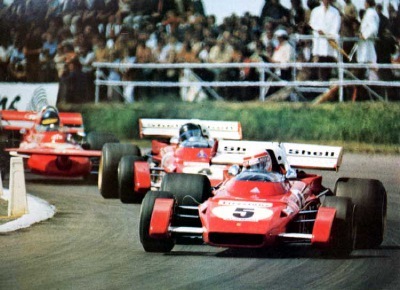 Silverstone ENG - Clay Regazzoni, Jacky Ickx (both Ferrari), Ronnie Peterson (March). 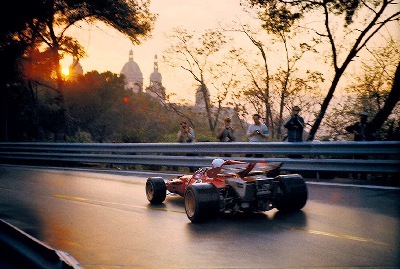 Nice shot, Clay in his Ferrari at Montjuich, GP Espana, Barcelona. 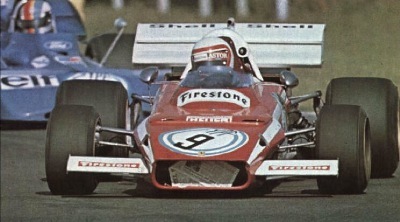 Argentinian Grand Prix in Buenos Aires, Ferrari 312B2, ahead of François Cevert (FRA, Tyrrell). 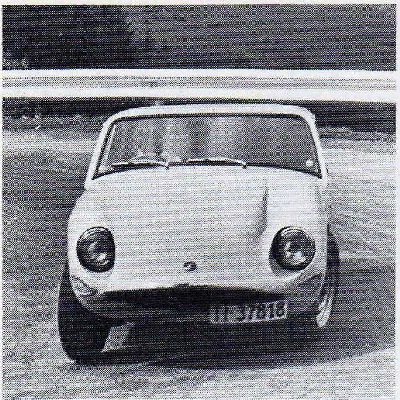 First page on the newsapaper. 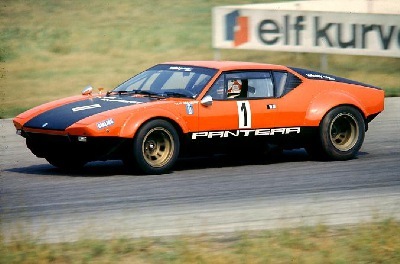 No circuit races allowed in Switzerland, but Clay drives this De Tomaso Pantera at the Gran Turismo Grand Prix Suisse in Hockenheim. 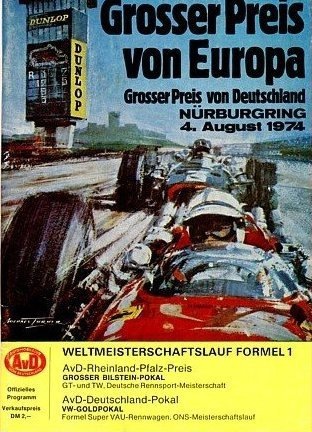 ...jumping on the way to win the "Grosser Preis von Europa". 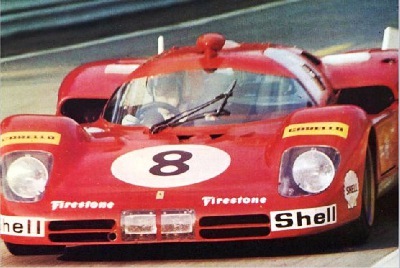 Come and enjoy this car at the In Memoriam Clay Regazzoni's Exhibitons of swissSpirit.org (clic Welcome). 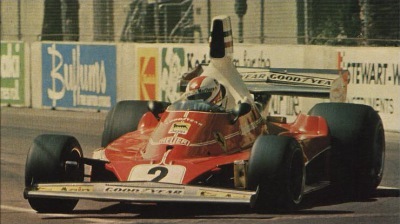 Regazzoni's Grand Prix Victory at The USA West Grand Prix in Long Beach. 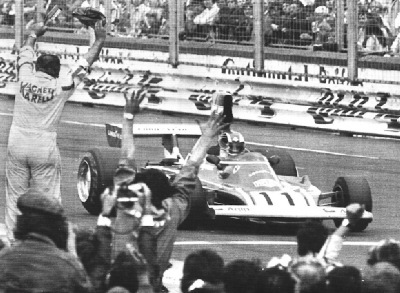 1977 - Clay in Indianapolis at the presentation. 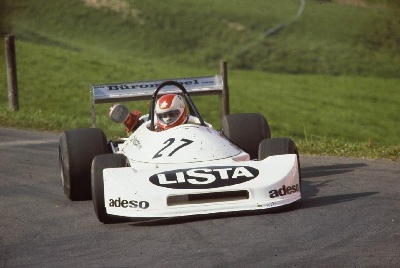 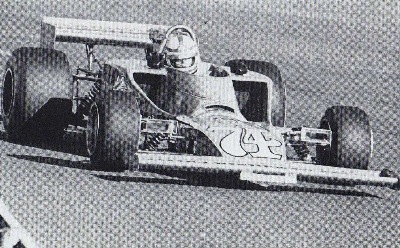 Clay driving a Ralt F2, end of september 1977, at the hill climbing race of Hemberg in eastern Switzerland. 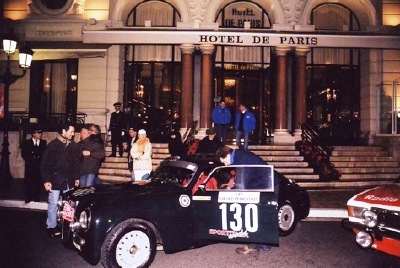 Photo courtesy of JP Froidevaux. 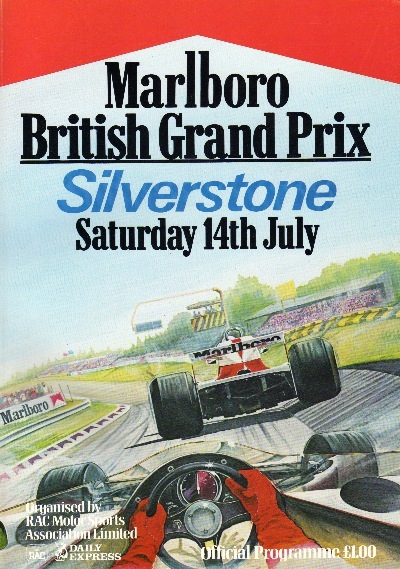 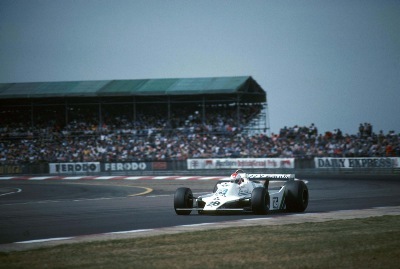 Silverstone ENG, 1979, Saturday, July 14th - Historical Day. 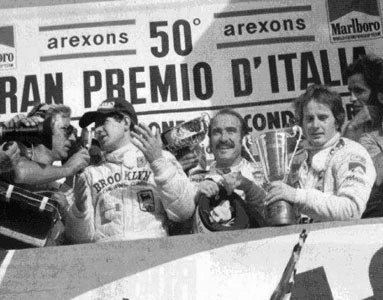 Frank Williams and Team Williams' first, Clay Regazzoni's and Swiss last Formula 1 Grand Prix Victory yet. 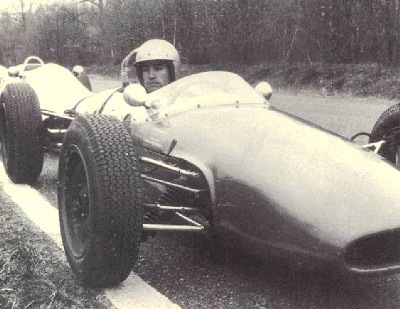 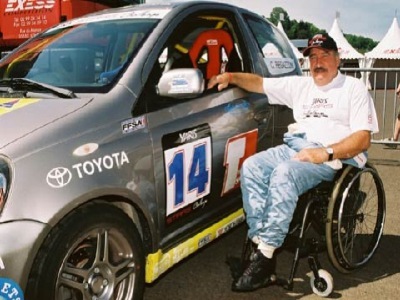 Clay driving alone in view of his and Swiss last Formula 1 win yet. 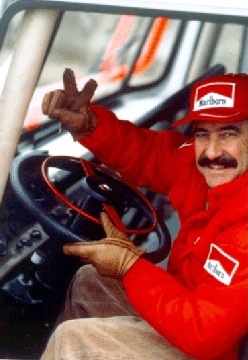 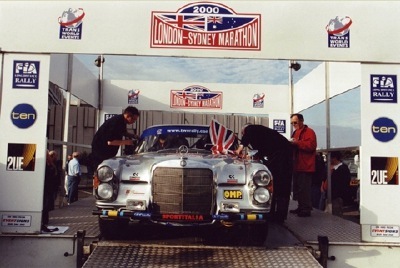 And the Silverstone Winner is... Clay Regazzoni. 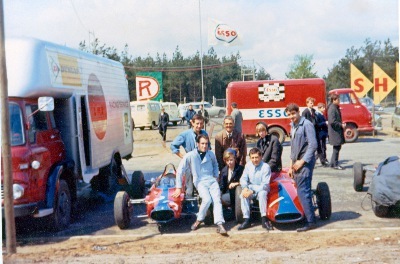 René Arnoux 2nd on left, JP Jarier 3rd on right. 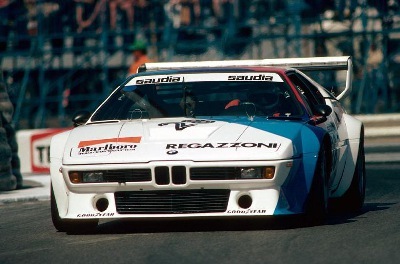 Regazzoni driving the BMW M1 at the F.1 byside Procar races. 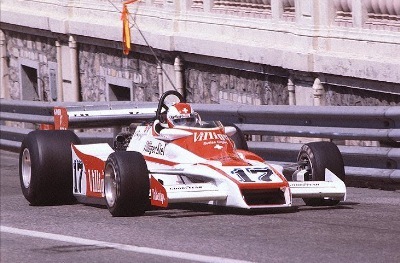 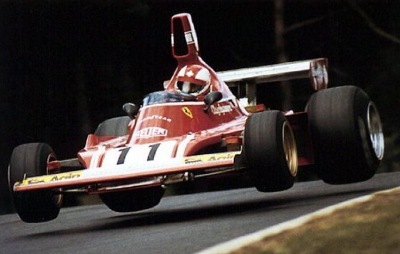 Clay Regazzoni on March Formula 2 at the St. Pederzell-Hemberg Swiss Championship Hill Climbing Race, September 1979. 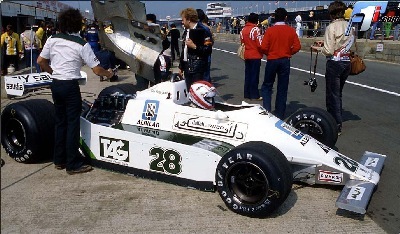 Today's owner of this car is Fredy Lienhard of autobau.ch, a brand new racing car museum in Romanshorn SG, and is a part of swissSpirit.org's In Memoriam Clay Regazzoni's Exhibitions. 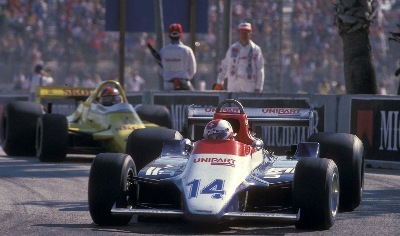 Clay Regazzoni in his last Formula 1 race, the USA West Grand Prix at Long Beach, March 30th, 1980, driving his Ensign N180. 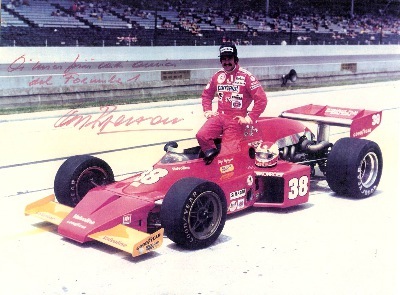 Here ahead of Emerson Fittipaldi, Copersucar. 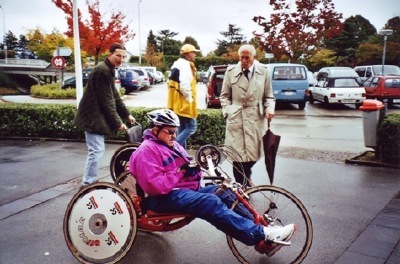 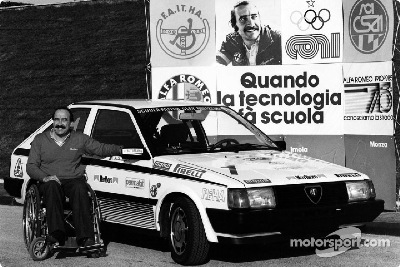 Starting the handicap racing driving school at Vallelunga, 1985. 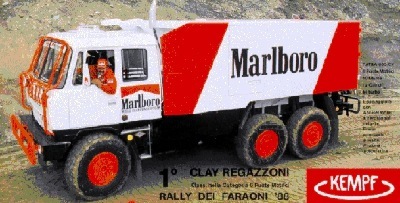 There is existing no way, to stop Clay. 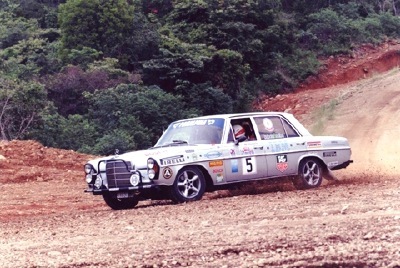 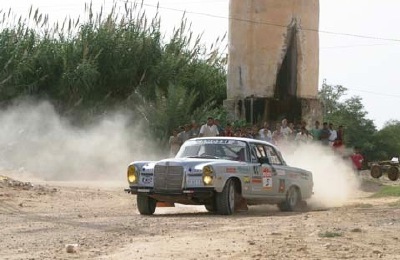 Pharaons Rally 1988. 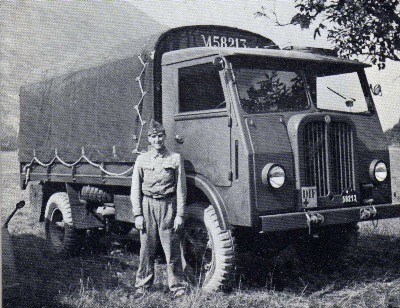 Winner of 6WD truck category. 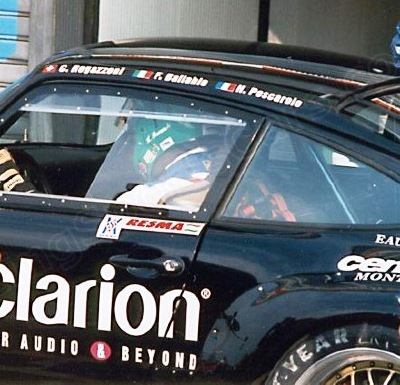 1996 - Porsche 911 Bi-Turbo Team Friesinger, 4 Ore GT Monza 1996. 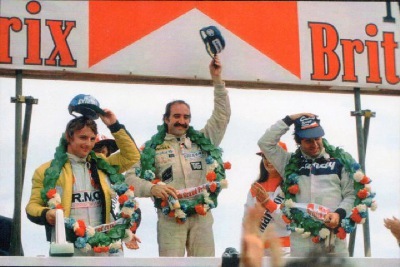 Clay Regazzoni in the team with Henry Pescarolo (FRA) und Franco Ballabio (ITA).